“Social Project #4: Find a way to end global warming. Make it work.” Social Project #5. Find a way to end poverty. 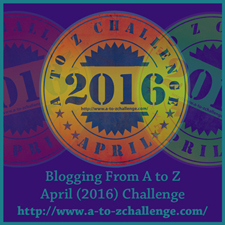 Make it work.” Prompts #16 and #17 by Ruth Ozeki in the Preface to Choices (Borderline Press, 1916). She attributes these projects to Jackson Mac Low who published The Fluxus Performance Workbook in 1963. On Friday, March 4th of this year, Ruth Ozeki addressed 800+ people at the Mt. Baker Theater in Bellingham, Washington. Her novel A Tale for the Time Being was the 2015-2016 choice for Whatcom READS!, the community book club. I will do my usual when coping with difficult political questions: avoid a specific answer (eliminating one topic, global warming altogether) and substitute background research. I’m interested in the guy who came up with these social projects: Jackson Mac Low, whom I had never heard of. Low (1922-2004) is known for his “chance poetry”–generating random lines from previously published sources–and for performance poetry. For example, he produced a play, Verdurous Sanguinaria, by sourcing 26 different dictionaries, which, incidentally, was performed in the home of Yoko Ono.